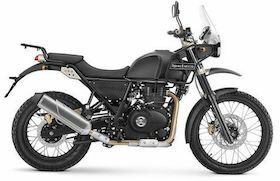 We do motorcycle tours to several parts of India and Bhutan, but if you are planning a ride which does not match our dates or the region, you can do a self guided tour as per your plans on our motorcycles. 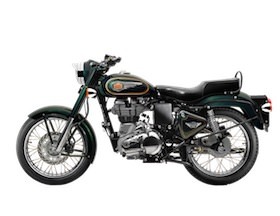 We have a fleet of Royal Enfield Standard 500 and the dual sport Himalayan motorcycles. All bikes are regularly maintained by our mechanics and are always in mint condition. Our mechanic will accompany the motorcycles on the ride with all necessary spares and tools, so you don't need to worry or work in case of a breakdown or flat tyre. We do not rent out motorcycles without our mechanic unless it is a special case. We also have a twin cab pick up vehicle, which can also be used for carrying the luggage if the tour duration is long or you have passengers who do not wish to sit on a motorcycle. The motorcycles are parked in our warehouse on the outskirts of New Delhi. We will arrange for safe transportation of the motorcycles to your start destination and after the ride, our mechanic will bring the motorcycles back, so you don't have to bother about transfer of bikes and enjoy a hassle free ride. Apart from the motorcycles, you can also rent helmets, knee guards, magnetic tank bags and tents. E-mail us at info@rideofmylife.in or call us at +91-9408715641/ +91-9868877479 with your requirements.